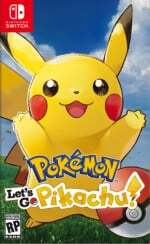 This week has seen more Pokémon: Let's Go, Pikachu! and Let's Go, Eevee! news appearing in front of us than those pesky wild Zubat in the murky depths of Mt. Moon, but we've got yet another trailer for you which shows off one of the game's most recently-revealed features (with a nice little nod to the anime at the end, too). 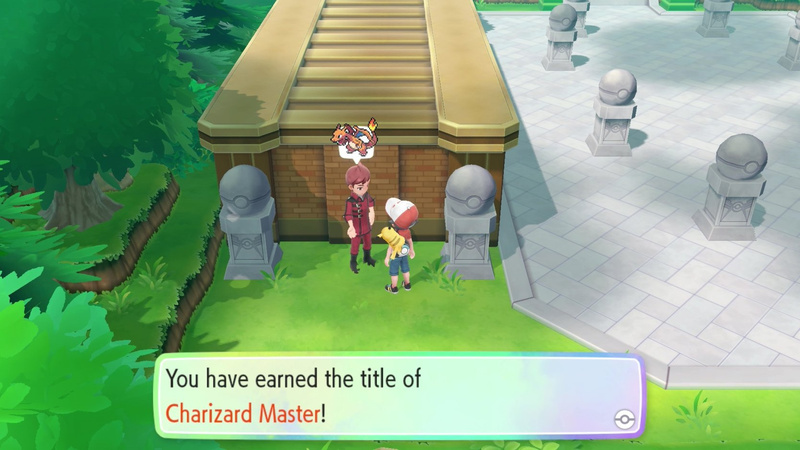 Earlier this week, we discovered that Master Trainers would be a part of the new games, acting as a way to give players more things to do around the nostalgic routes and cities of Kanto. More details soon came to light, revealing that there will be 151 of these trainers, and each one will specialise in training one particular kind of Pokémon. 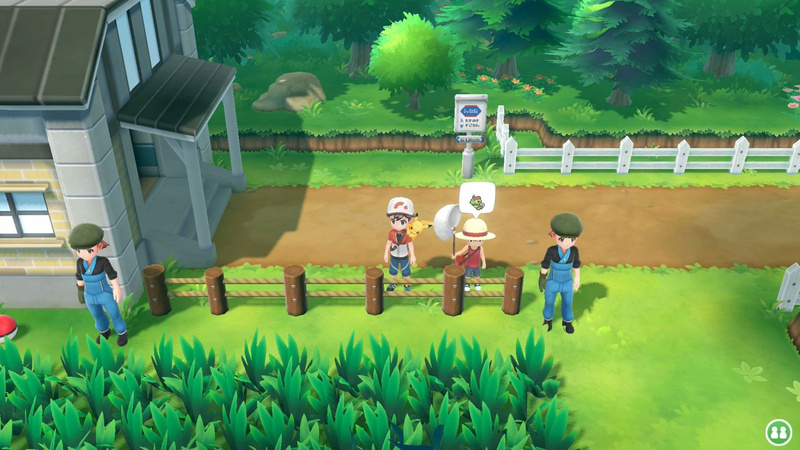 The new trailer above gives us a look at these trainers in action, with small indicators seemingly appearing over their heads around the game's world to let you know where they are. The trainer uses just that one kind of Pokémon - and you must use the same - jumping into an ultimate showdown to see who can come out on top. Things get more interesting thanks to the fact that players can't use items in battle, meaning these fights will be tests of pure strength. On top of this, the special trainers you'll be facing will use "unexpected attacks", potentially throwing off even the most experienced Pokémon trainers. 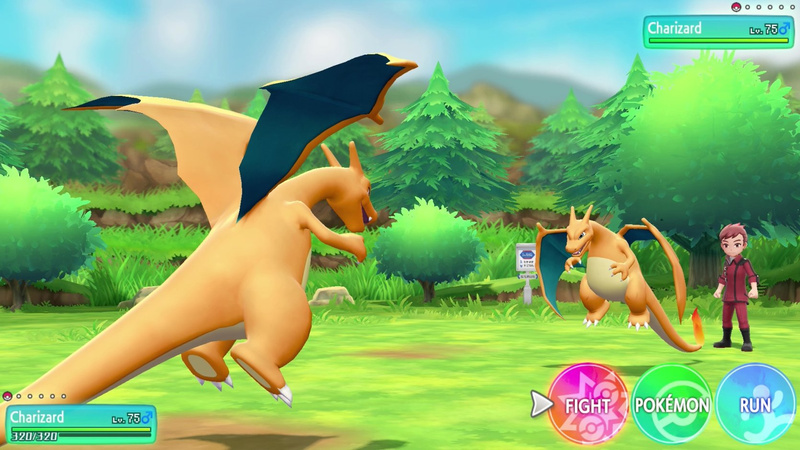 In the video, we see Gyarados using an electric attack, and Lapras using the grass type move, Solar Beam - two attacks which you wouldn't usually associate with those particular creatures, and ones that just so happen to be super effective against the monster you're forced to battle with. These battles could be very tricky indeed. Part of us wants Game Freak to stop showing all of the content coming to the game, as we've already seen so much, but this completely new addition does look like a really nice inclusion. What do you think? Will you be taking on all 151? Let us know if you'll be trying one of the new games on 16th November with a comment below. Wheres the trainer with the Godly Rattata? It's nice to see such variety in the color of their clothing. But seriously these actually look challenging. Especially if they can use moves that go against their type disadvantage. Can't wait for the Magikarp Master Trainer! Maybe I don’t want my Venasuar to know a flying move; or maybe I don’t need a Gyrados with an electric move. This will influence people to change a move set just to fight a pokemon of it’s own species well, potentially making that pokemon worse overall as a part of a team. I prefer my online battles in pokemon where I can maximize my team without regards to a pointless title that could be impossible to achieve in some pokemon with their best movesets for the meta. @Swoltacular You... Do realize that you can swap out moves on Pokémon, right? This has been a feature for years. Or you could just... Breed your Pokémon if you're that worried, make one for master trainers. @Kalmaro if they’re TM moves yes it’s simple. Not quite so simple when you have egg moves etc. 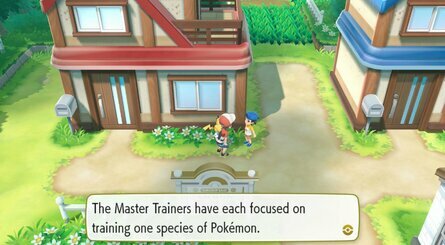 Not quite sure making a separate pokemon for master trainers would be worth the effort save for your favorites. @Swoltacular You realize that "competitive Pokemon" is a joke taken too far, right? Besides, this game is not linked to the main Pokemon series. Also why do you care how other people raise their Pokemon? I'll give my Raichu Mega Punch if I want. Maybe I will, just to spite you specifically. @Swoltacular That's just it though; it's side content you can choose to do after the main game ends. It's going to be a lot of work to train all 151 Pokemon regardless so you might as well train a separate Pokemon for these challenges. I don't know what the complaint is, this is actually a decent amount of postgame content. I envy that Magicarp trainer. The Greatest NPC of all time? I... actually really like this. This is the first bit of news about the game that I'm entirely satisfied with. It sounds like a really cool post-game challenge. So... how is Ditto vs Ditto gonna act out then? The official website says that some of the master trainers will have a "simple request for you" instead of wanting to battle. I'm guessing that would apply for Pokémon like Magikarp and Ditto, for which you'd have to catch a certain number of them or have Ditto transform into a specific number of Pokémon, or something along those lines. @Spectra It would be amazing if they actually added MissingNo to the game as a secret Pokemon you get after doing all 151 trainers. @Swoltacular People like you are the ones who started by saying this game is too casual, and now are complaining that it's not allowing you to be competitively viable, which is also untrue. They aren't forcing you to change anything about your own moveset, just to be ready for anything coming from your opponent. This looks like it'll be tough just from seeing the opponent's Charizard using wild charge (I'm guessing) against yours. Like since there's no breeding I hope there's at least decent move tutors to help out with this. Are TMs in the game? 'Metapod Master', here I come! @TophatDragoneye Perhaps they'll make it so the foes ditto will have a bunch of attacks so your ditto will transform into a ditto with the same moves. @TophatDragoneye oooooh you have a point there!! Its gotta transform into something. This is very cool, let the haters hate! @TophatDragoneye It'll be the most epic Struggle match in Pokemon histoory. The Ratata trainer needs to be Youngster Joey. His ratata is in the top percentage of ratata. I'm in. Down for the pokeball 'n' everything. Wait, are my eyes deceiving me? They're actually doing what I said they should do, showing the "good stuff" - read, the stuff they've added rather than the stuff they've remade - in actual promotional material? About damn time! Sure, it's something they should have done months ago rather than one month away from release, but still, better late than never, I guess! I mean it, these games' premise is alienating enough already. Showing "too much" is a viable strategy, given how much the preorders have plummeted before release. Seems like an interesting idea. I wonder how hard it will be. I would think, not very, at least for most of the pokemon which have expansive movepools. Interesting references to the original generation 1 games shown too. Larpas could learn Solarbeam, which is quite odd. In all later games it has not been able to learn Solarbeam, even though it's continuously a TM. Gyarados has always been able to learn thunderbolt though. Lapras has always been able to learn it also. @SnowFox I'm sure it's using thunderpunch. That's been a Charizard staple. Edit: If not exactly the same, these moves are at least animated very similarly to the 3DS games. Thunderpunch even has the fist image over the enemy in its animation. This sounds cool, although it will be odd to consider some of them like Magikarp as Master Trainers. However, how the heck do you decide a Ditto vs. Ditto battle?! @Swoltacular So just swap out one TM move. You shouldn't have to change your entire moveset to win these battles.